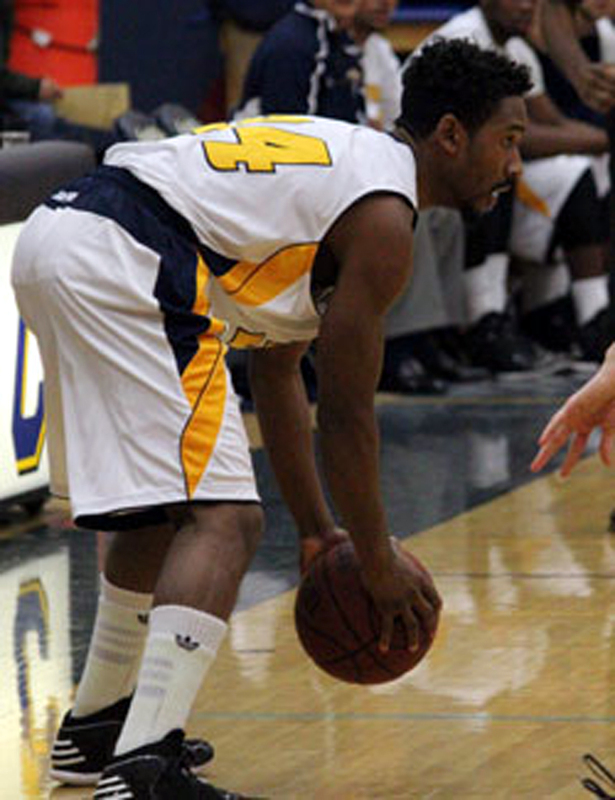 The sixth-ranked College of the Canyons men’s basketball team outscored No. 11 Allan Hancock College 38-28 in the second half to beat the visiting Bulldogs 71-68 in the second round of the California Community College Athletic Association Southern California Second Round Regional game on Friday evening. Canyons will now await the winner of the No. 3 Mt. San Antonio versus No. 14 Antelope Valley, to be played on Saturday night, and will face the winner on Wednesday, March 6. Sophomore forward Ron Harris led COC (21-8) with 19 points and eight rebounds, while going 8-of-11 from the field and a perfect 3-for-3 from the free-throw line. Sophomore guard Jaylen Bland contributed 16 points and two steals, while freshman forward Temjae Singleton pulled down eight rebounds. The Bulldogs opened the game shooting 58.6 percent (17-of-29) from the field and leading by as many as 13 points, as the Cougars struggled from the field and shot 38.2 percent (13-of-34) from the floor. The second half turned out to be all COC. Canyons used a 12-5 run in the span of six minutes to tie up the game at 52-52 with 12:09 left in the game. Canyons held the lead for the rest of the game, but gave the Bulldogs a chance to come back with six seconds left in the game, as they fouled a player beyond the three-point line. Allan Hancock’s Demetrius Thomas only made one-of-three free throws. The playoff victory marks the first time the Cougars have won a second-round game under 13-year head coach Howard Fisher.